With Garden of the Gods and Pikes Peak as a backdrop, #7 Miami comes west to face Colorado College in the Springs. Well Miami fans, we’ve reached the final month of the regular season. And, I have to admit, I’ve been waiting for this point in the year for quite some time because I’ll have the opportunity to see Miami in person four times in a three week span. 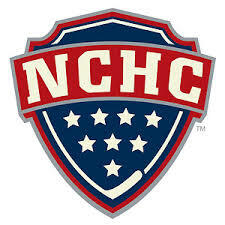 In the NCHC, this will be the month that will determine who hoists the Penrose Cup as the regular season champion and identify three other teams who will claim home ice in the first round of the playoffs. Miami’s stretch run includes six games against (current USCHO rankings) #9 Denver, #6 Minnesota-Duluth and #2 North Dakota meaning Miami will have its league destiny in its hands facing teams it is chasing in the standings and realistically battling each one for home ice. But first, Miami (16-9-1, 9-6-1-1 3rd NCHC) has a potential trap series in front of it facing lowly Colorado College (5-19-1, 1-14-1 8th NCHC) in Colorado Springs. The RedHawks are coming off an interesting two weekends that saw them play just twice as they picked up a tie and win over 7th place Western Michigan. The tie came during an exciting game in Kalamazoo that went back and forth before the Broncos tied the game late with an extra attacker goal, but Miami came away with an important extra league point when Cody Murphy scored a classic shootout goal in sudden death. Then last Saturday, the RedHawks jumped out to a four-goal lead after two periods but had to hang on as Western Michigan scored three unanswered goals in the third period to turn a laugher into a close game at the Hockey City Classic in Chicago. Looking ahead to the weekend, this will be the final regular season meetings between the Tigers and RedHawks. Earlier in the year, Miami swept Colorado College in Oxford by a combined 8-1 score as Miami dominated the Tigers behind Jay Williams’ stellar goaltending and big offensive weekends from Riley Barber, Sean Kuraly and Alex Wideman. Miami and Colorado College have met just six times with each squad having earned three wins. However, Miami has won the last three in the series by a combined score of 14-2. Clearly, Miami has the upper-hand against this former national powerhouse. Mike Haviland is hoping to turn the Colorado College program around. summer. A former Chicago Blackhawks assistant from 2008 through 2012, Haviland is a native of New Jersey, played a season of college hockey at Elmira and was a 1990 supplemental draft pick of the Devils, but never played in the NHL. Haviland has his hands full attempting to rebuild a proud Colorado College program that hasn’t had much success over the past few seasons. Unfortunately for the Tigers, there simply isn’t a lot of talent on this team. Owens did not leave Haviland with much to work with and aside from sophomore defenseman Jaccob Slavin, there aren’t many Tigers that have that eye-popping look. I have seen the Tigers once in person this season, and though it was very early, they looked ordinary in narrowly defeating Alabama-Huntsville 4-3. While that victory sealed a series sweep, the Tigers weren’t very impressive in earning two one-goal victories over the Chargers. Offensively, the Tigers are led by juniors Cody Bradley (8-13-21) and Hunter Fejes (5-9-14) and are two of only four Tigers with at least five goals on the season. Simply put, CC cannot score. Jaccob Slavin is a star on the Colorado College blueline. Defensively, there is more talent as four of the Tigers six NHL draft picks are on the blueline. Led by the aforementioned Jaccob Slavin (3-9-12) and senior Peter Stoykewych (2-5-7), the Tigers have some size and puck-moving ability that Miami will have to be aware of in case the defense activates. And, on the big ice at altitude, Miami will have to be mindful not to chase too much and lose their legs in the third period. With the final three series of the year looming, Miami needs six points this weekend to give themselves a shot at winning the Penrose Cup. Perhaps more importantly, the points can help secure a spot in the league’s top four earning home ice. Despite the 5,000 foot difference in altitude, Miami is far too talented and these games are far too important to the RedHawks.